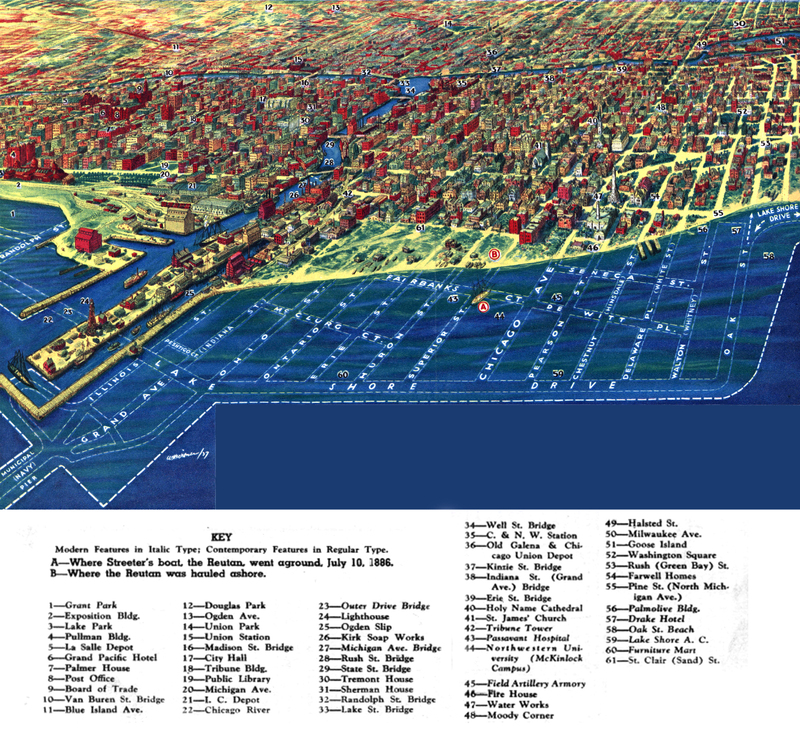 From a 1937 Chicago Tribune article, here is an 1880s bird's-eye view of Chicago's downtown lakefront, superimposed with the grid of streets that were added later through landfill reclamation. The new streets are now some of the most valuable real estate in the city, but before reclamation the sandy shoreline north of the river was mostly an outlaw wasteland known as "The Sands." I have a book of the same name (by Francesca Falk Miller) that I picked up at the Newberry Library sale a few years ago but still haven't gotten around to reading yet. Soon.